How to Establish your brand's Hyper-local Presence? "How to Establish your brand's Hyper-local Presence?" Over the last few years, ''Hyperlocal'' has become a buzzword in the marketing world,as big brands are looking forward to establish themselves on a local level and build more trust and connection with the consumers. Through targeted communication efforts on a specific local geographic area, it can help business to reach to a specific audience that gives them the ability to be a “big fish’’ in a small pond. 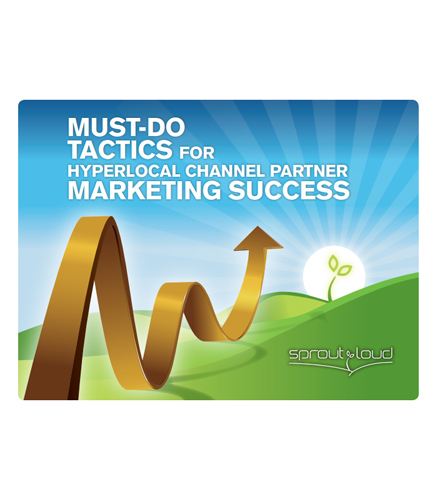 This whitepaper will show you the right steps you can take to build the most effective hyperlocal marketing strategy, so your channel partner gets the most out of their participation with you. Learn what are the must do tactics to build your brand successful at the hyperlocal level.